Arkansas Pest Management Association is a member-based organization that works to promote professionalism in the industry and increase awareness of their members' services among consumers. APMA's mission is to communicate the role of their members as protectors of food, health, property, and the environment and affect the success of members through education and advocacy. The National Pest Management Association, a non-profit organization with more than 7,000 members from around the world, was established in 1933 to support the pest management industry's commitment to the protection of public health, food and property. This commitment is reflected both in the continuing education of pest management professionals and the dissemination of timely information to homeowners and businesses. The Eastern Arkansas Realtors Association's goal is to represent their membership to the public in a fair and ethical manner. They strive to encourage community awareness and to build lasting relationships and efforts. Through educational opportunities, they hope to build confidence in their area between buyers, sellers and realtors. The Northeast Arkansas Board of REALTORS® represents a diverse group of individuals who work together with their neighbors, community groups, schools and elected officials to make Jonesboro a place you want to live, work and play. 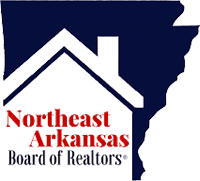 The Northeast Arkansas Board of REALTORS® (NEABOR), represents approximately 500 members from all real estate specialties including commercial sales, development, property management, home inspections, appraisal, auctions, and residential sales. The Northeast Arkansas Homebuilders Association is a professional, non-profit organization located in Jonesboro, AR that serves the interests of local residential builders and other associates who support the building industry. AIB International was founded in 1919 as a technology and information transfer center for bakers and food processors. Today, AIB International aims to empower the global food industry to elevate their food safety and production process capabilities by developing and delivering application-oriented learning, consulting, and value-added services. ACME Pest Management, Inc. is proud to be Food Safety Certified by AIB International to provide pest control in food processing and distribution centers. Founded in 1889, the ESA is the largest organization in the world serving the professional and scientific needs of entomologists and individuals in related disciplines. Among ESA's certification options is the Associate Certified Entomologist program, which is geared specifically towards professionals in the pest management industry. 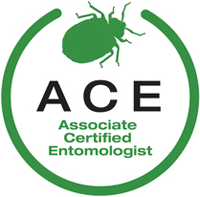 The ACE designation is awarded to professionals whose training in entomology has been achieved through continuing education, self study, and on-the-job experience. 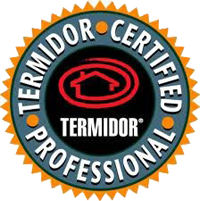 A Termidor Certified Professional company is a pest control company that has completed the official Termidor training program, and been certified by the manufacturer of Termidor, BASF Corporation, to use and apply Termidor®. When you trust a Termidor Certified Professional to protect your home from termites, you can rest assured that you are dealing with a knowledgeable, well-trained BASF partner.